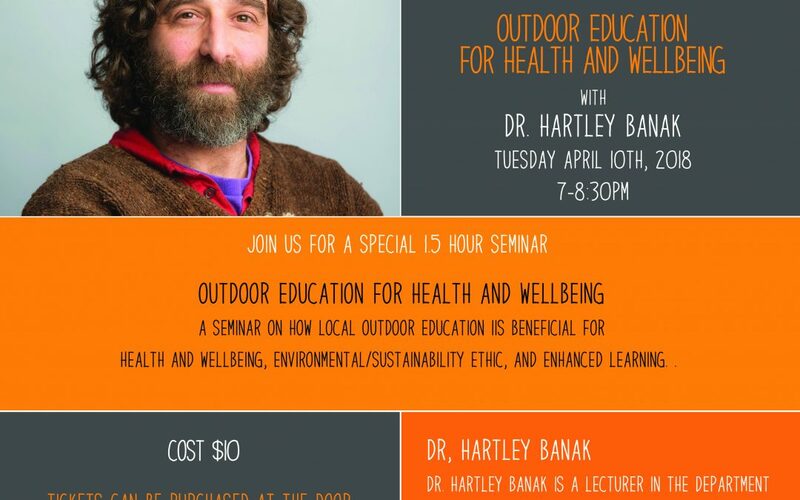 Dr. Hartley Banak is a lecturer in the department of curriculum and pedagogy in the faculty of education at UBC and a coordinator of the outdoor environmental education area. Tickets are $10 (includes light refreshments) and can be purchased here via eventbrite or at the door. Hope to see you there!